I absolutely love the colour combo over at Dynamic Duos this week. 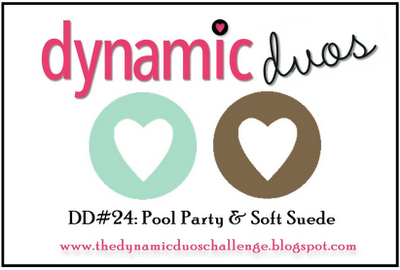 Their challenge for us is to use Pool Party and Soft Suede – easy peasy when it’s colours I love. Stunning card Narelle! 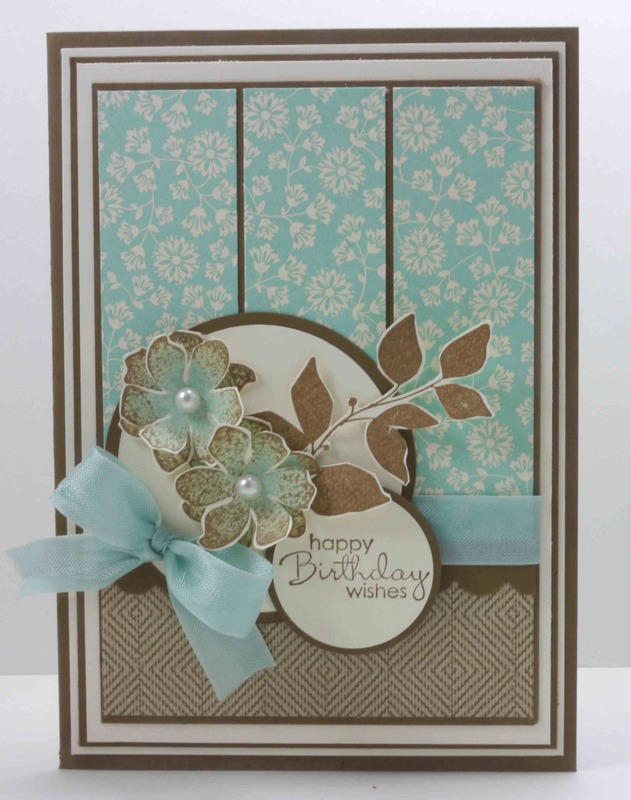 Love the three panels and the two-toned flowers! Love the rock´n roll technique you used on the flowers! So beautiful! Gorgeous Narelle, lovely use of the colours and your rock n rolled flowers looks stunning! PS….I’m jealous of your perfect bows….if you look at my cards you will see that I avoid bows at any costs because I just CAN’T tie them. LOL! Gorgeous! All the elements are just perfect! The fussy cutting with the double layer flowers are the cherry on top! Thanks for joining us at Dynamic Duos! WOW!! Narelle this is beautiful! Love the trio of floral panels and your rock and rolled flowers! Thanks for playing along with us at Dynamic Duos!